How To Transition Into Fall The Comfortable Way ! With all these tips on how to transition into fall weather don’t you just want to be comfortable in some cute pair of heels?!? Well ladies I’ve found the solution, and not only have I’ve found out the secret a lot of ladies have already figured it out too! Let’s jump right into it since the beans are spilled! The Chunky heel style is your go to heel for this season, next season, and any season you want your feet to be comfortable! While wearing a stiletto can be difficult for someone who has to wear them all day long a chunky heel works well for balancing and support. Not only is it supportive but it’s also in style! I’ve found this steal with a peak-a-boo heel and under $30, now that’s a way to transition into fall the comfortable way! It’s like having a perfect shoe for a dress or jeans! Who said that a chunky heel couldn’t be classy and rock out at the same time? What make these heels so lovely is the crisscross detail in the front. What a way to show some skin but not too much so when fall gets in your feet won’t be cold. Want to put some stockings on with it when it gets a little windy, cool! Wear these bad boys how you want them and check out some more of my favorite chunky heels and where to purchase them. Transition into fall gracefully and comfortably. Dress your chunky heels up with a tight fitted tank dress and a floral cardigan. 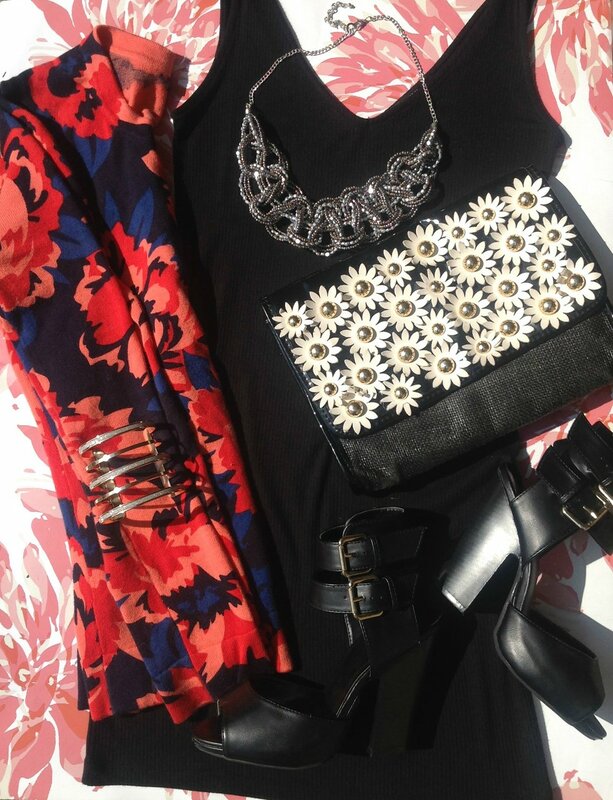 Accessories are the star of the night with your sunflower purse and statement ensembles! Look how easy these heels are paired with a neutral brown and faux leather leggings! Sparkle your night with a statement necklace and some aviator sunglasses!